HLBS Tech (P) Ltd. was established in December 2004, with a vision of manufacturing of IT Hardware Products in India. Since then company has travelled in the direction to make India as an IT Manufacturing Hub. 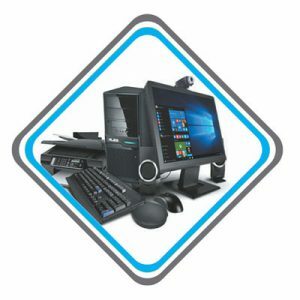 The company has innovative and high-tech products like Touch Screen Self-Service Kiosk, Electronic Lectern, Mini PC, Desktop PC, All in One PC (AIO) under the HLBS and HINUM brand and has served more than 5000 clients pan India. HLBS is putting continuous efforts in this direction, which have brought up the company to National Level from State Level within just 4 years of its birth. HLBS has achieved significant growth rate and this year we hope to continue the growth journey. HLBS owns a manufacturing unit in Bhopal and has planned an upcoming new state of the art manufacturing and R&D unit in Bhopal IT Park. It aims to develop innovative and high-tech products to serve domestic market and to provide the lowest "total cost" solution to increase the affordability of electronics products for all mankind, and the common masses in particular. "Our Mission is to enhance our customer's by providing the very highest quality Products & Services"
Our customer support strategy is based upon, no compromise customer satisfaction and we have continually strive to offer a complete package of up-to-date value added solutions to meet our customer's needs. Above all, we value our long term customer relations. HLBS has started its R&D cell to incubate start-up talents for developing innovative products to help various sectors like Medical, Education, Banking and Defence. With our technical expertise and highly trained R&D engineers, we can assure that each product under the banner of HLBS is at its best of its Quality and Reliability. The management of the company believes in accountability, decentralisation, empowerment, teamwork and delegation of authority for employees, and at the same time it keeps constant focus on the change in needs of the market and update itself of new technologies to satisfy those needs. Solutions Unlimited, these two words sum up the essence of HLBS. We offer complete range of consistently high quality, cost effective solutions and services. Today, HLBS experiences a rapid and comprehensive development that covers an extensive range of products, which include computer peripheral, consumer electronics, education information, digital office supplies and software solutions. We pride ourselves not only on being a pioneer of producing State-of-Art computers and peripherals, but also have excellence in smart classroom, interactive teaching system, RFID based software solutions. HLBS has strong R&D team to develop uniquely designed solutions. We have both the experience and capabilities to meet client requirements.